Asthma Tracker 3 supports you in keeping your asthma diary up-to-date by making it easy to track your peak flow values, your asthma medication intake and your asthma related symptoms. In addition, you can add contextual information to each entry by either associating it with a pre-defined event (such as a doctor’s appointment) or with individual notes. With the built-in reminder, you can set Asthma Tracker to remind you to take your daily base medication, to measure your peak flow and to record your symptoms. At the end of each month, it will also prompt you to complete the widely-known Asthma Control Test™ whose intent is to give you a rough idea as to how well controlled your asthma is. The aggregated information in Asthma Tracker's chronological overview leverages the Health app to let you quickly asses how your asthma is progressing. Asthma Tracker stores and displays peak flow values stored in the Health app as well as puffs and symptoms alongside your daily step count. This way you can easily see how your daily activity influences your asthma and related symptoms. Select individual days to get a more detailed view of each entry (peak flow, puffs or symptoms) on that particular day as well as the recorded step counts on that day. 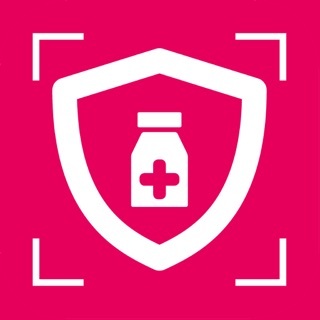 Share your recorded asthma entries with your doctor during an appointment or take an in-depth look at it yourself on your desktop or other device with a bigger screen using the built-in integration with datalinker.io, our fully end-to-end encrypted solution for secure data transmission. Just visit web.datalinker.io, scan the QR code with Asthma Tracker and your entries are encrypted on your iPhone and copied securely to datalinker for temporal storage. From there you can show it to your doctor, print or save it to PDF. Do you have feedback for us or do you need help? Visit us at www.asthma-app.com and use the feedback form on our website. Shows the medication taken for each puff in the detail view. I love this app! The only addition I’d make is adding the ability to edit days. Forgot to add info for a day & adding info immediately went to the current day when I’d like to have added stats for the day before. Other than that it’s super handy. Sorry for the very late reply. You can actually change the date and time by tapping on the date in the input views. A date picker will show up at the bottom of the screen. This app is perfect for tracking Asthma activity. Absolutely everything you can think of in a beautiful easy to use UI and integration with health app makes it all the more useful.